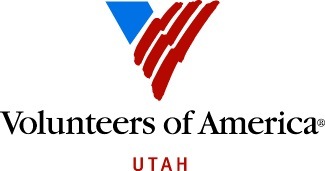 Thank you for your interest in providing and serving a meal for the Volunteers of America, Utah: Center for Women & Children! Volunteers prepare and serve lunch and dinner 7 days a week 365 days a year. We greatly appreciate your time and energy, we couldn't do it without our volunteers! Unlike volunteers at many other agencies, volunteers at the CWC provide and cook the meal in addition to simply serving it. You may either use the groceries available in our pantry (View the CWCGuidelines attachment for a list of items available), or purchase and bring your own groceries as a donation. Group sizes of 6 or fewer are the best, or else it gets very cramped in our kitchen. Expect to prepare approximately 20-30 servings per meal. Please wear gloves when preparing and serving all food items. Remember that the clients are counting on you for a meal. If there is any need to cancel, please try to do so at least 48 hours before your assigned meal so that we can make other arrangements.